Before McDonalds or KFC dotted the landscape of Singapore, a small island nation in Southeast Asia, its residents enjoyed a staple of rice, meat and vegetables cooked in their Chinese, Indian and Malay traditions [i]. 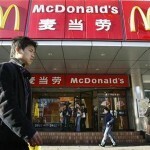 These days however, Singaporeans enjoy a westernized way of life that includes eating at fast food restaurants two or three times a week[ii]. Researchers at the University of Minnesota’s School of Public Health decided to find out the health cost associated with this change in diet and collaborated with public health experts at National University of Singapore. 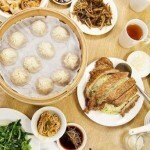 Over 60,000 Chinese Singaporeans were interviewed about their health and eating habits [ii]. What they found was not only surprising to many in the public health community but a real cause of concern for modernized Asian countries. Study participants who ate more than two times a week at fast food joints like Burger King or Quiznos were more likely to die of heart disease and develop Type-2 diabetes. These results were evident after researchers controlled for other factors such as gender, educational level and weight. 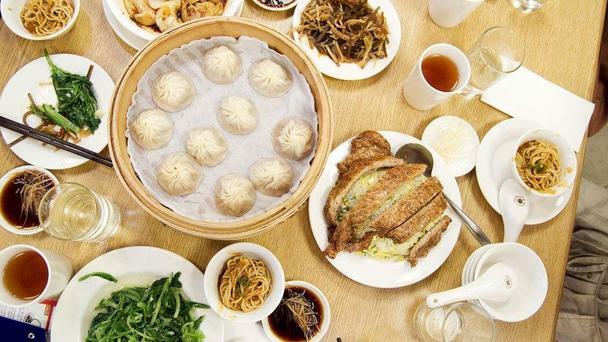 Interestingly, Chinese Singaporeans who ate traditional Singaporean meals, like stir-fried vegetables or steamed dumplings, were not at risk for acquiring these diseases. Popular Asian Dishes. Unknown source. The results of this study along with other similar research findings convinced public health, medical and nutrition experts that good health is connected to maintaining cultural traditions, especially rituals that involve cooking food in simple unprocessed ways. 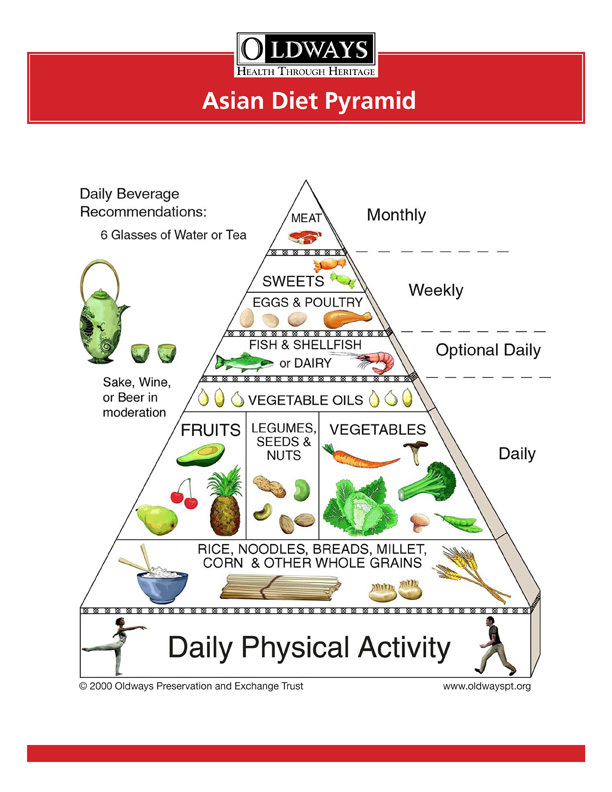 Emphasizing traditional food staples such as rice, noodles, legumes, vegetables and fruits, along with some red meat, fish and poultry, the Asian Diet Pyramid was developed by Oldways Preservation Trust to encourage healthy eating in the Asian American community. Oldways organization is guided by a simple premise that good health can be found through heritage [iii]. Oldways Heritage Pyramid developed by Oldways Preservation Trust,conjunction with the Cornell-China-Oxford Project on Nutrition, Health and Environment, and the Harvard School of Public Health. A new generation of Asian Americans has heeded the call for returning to a more traditional diet used by their grandparents. Young Asian Americans activists like Aileen Suzara, a Filipino American educator, environmental justice advocate and a natural chef, uses traditional Filipino food and recipes to understand and connect to her Filipino American culture and community (learn more about her here). 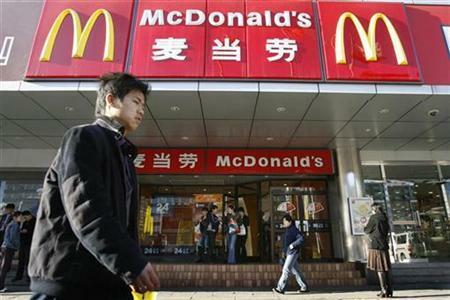 As more Asian countries modernize and look towards the U.S. as an example of western living, it has become evident that America’s obesity epidemic will also be exported along with the super-sized burgers, shakes and fries. Asian Americans in the U.S. can look beyond this pattern of ordering food-to-go or eating meals outside the home and look within their own culture to find meaningful ways of achieving optimal health and wellbeing. [i] Academy of Nutrition and Dietetics, www.eatright.org. 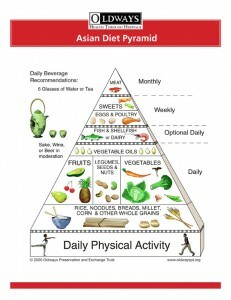 [iii] Asian Diet Pyramid. Oldways Heritage Through Health. www.oldwayspt.org.